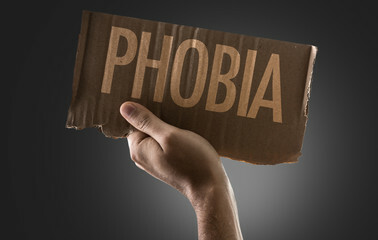 A phobia is an obsessive fear or anxiety about something in particular. We all have certain phobias, even though you might not know it. There is always one activity, action or thing that scares the hell out of us. There are a lot of phobias people have today, but since I am all about your health. I am writing about the common phobias related to health you really need to know about. But just before you learn about that, let me briefly and comprehensively explain why we have phobias. Phobias are mainly caused by past events or experiences that trigger fear. The amygdala in the brain records any strong emotional action that you experience. So, if at first you experience a situation or thing that triggers fear, the amygdala causes you to have a fear reaction that occurs anytime you encounter a similar experience, situation or thing. Even by just mere thinking the fear reaction begins. Some phobias are also genetic. Now let’s move on. 1. Trypanophobia – This is the fear of needles or injections. About 20% of people on earth have this phobia. It is closely related to aichmophobia and belonephobia. It often begins from childhood when you recieve your first painful injection. From then on anytime taking injections comes to your mind, you begin to shiver in fear, you should know this. 2. Bacillophobia – This is the morbid fear of microbes and bacteria. It is also called bacteriophobia or microphobia. It may be caused by one getting sick from a microbial infection. Hence you easily become terrified at the sight of germs People who have this phobia are excessively neat and could also have Obsessive compulsive disorder (OCD). 3. Dentophobia – It is the fear of dentists, or visiting a dentist to receive dental care. Visiting a dentist can be a very painful experience, especially the first time. It has been estimated that 75% of Americans have dentophobia. Women are known to have this fear than men. 4. Iatrophobia – This is fear of going to the doctor or of doctors. This fear occurs due to many reasons, but mainly due to experiencing a bad situation or traumatic event as a child involving a doctor or in a doctor’s office. 5. Menophobia– This is the fear of the monthly period of menstruation. The real truth is that no woman loves menstruating, so this is a common fear. It begins from puberty, when you have little idea or advice about menstruation, and end up embarrassing themselves. It could also arise due to fear of blood or PMS. 6. Pocrescophobia – This is the fear of gaining weight or becoming obese. It is also known as Obesophobia. This is a social phobia that is very common. According to the National Institutes of Health (NIH), it is common in less than 200,000 US citizens. 7. Tokophobia – This the fear of childbirth or pregnancy. Also known as maieusiophobia, this phobia is a psychological disorder that is manifested through panic attacks, difficulty in concentrating, and nightmares. It normally begins due to traumatic first time birth experience. Tokophobia is what mainly leads to women opting for caesarean section. 8. Tomophobia – This is the irrational and dreaded fear of undergoing surgical operations. Although anybody that wants to undergo surgery will definitely be nervous, but someone who is tomophobic it will be even worse. It normally arises in people who have had or experienced a traumatic surgery. 9. Pharmacophobia – This is also known as medication phobia or fear of drugs or receiving pharmacological treatment. Having a phobia of medications can have detrimental effects on the patients health. This phobia is prevalent in people who have experienced unpleasant effects from taking certain drugs. 10. Carcinophobia – This is the fear of getting cancer or of people with cancer. Many people fear a lot of dreaded diseases, but people with carcinophobia are always panicking and are more nervous. Most common causes of Carcinophobia include previously being diagnosed with the disease; a patient may have had a biopsy or might have seen a closed relative/friend suffer or die due to it. Conclusively, fear can protect us and hinder us. But if any fear prevents us from being healthy, we must learn to overcome it. All these phobias can be diagnosed and treated through various ways for example hypnotherapy. Thanks for reading, and remember to always stay healthy! If you like what you have just read please follow us on Twitter, or Like our page on Facebook. Better still SIGN UP to receive these kind of interesting post to your mails. Do YOU have products you want to advertise here? Head to our adverseting page NoW!